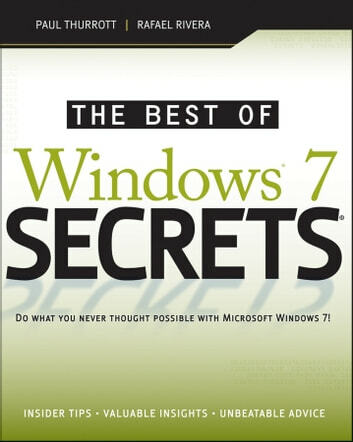 The Best of Windows 7 Secrets delivers a concise and value-packed punch that includes the most important Windows 7 features that all Windows 7 users need to know. This Kindle-only ebook delivers the most important content on this major Microsoft upgrade to value-minded Kindle book buyers. 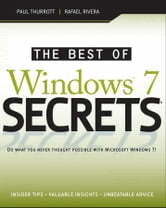 Written by well-known Windows experts and excerpted from best-selling Windows 7 Secrets, this book is the go-to guide for every Windows 7 user with a Kindle. The lead author Paul Thurrott runs the SuperSite for Windows (WinSuperSite.com), which has been described by Microsoft as the most influential Windows-oriented Web site in the world. Paul is joined by Rafael Rivera the blogger and programmer behind Within Windows (WithinWindows.com), a blog devoted to the technical internals of Microsoft's Windows operating systems.